Both Belize and the British Virgin Islands are two key jurisdictions in terms of offshore company benefits and advantages for investors. The two locations share a series of characteristics customary to these types of legal entities, such as easy company formation and a tax exempt status. Our Belize company formation specialists present a succinct comparison about what investors should consider when they decide to open an offshore company in Belize versus BVI. When comparing offshore locations, it is often useful to refer to a set of key characteristics. As stated above, both Belize and the British Virgin Islands share some of the traits that are similar to all offshore centers, among which of key importance is the tax exemption for locally registered companies, or in this case the International Business Company. It is also useful for investors to remember that even though both of the jurisdictions grant the companies the official status of an International Business Company, the company laws are different and it is always preferable to work with a local specialized firm when opening a company and when selecting management services for an offshore company. The table below summarizes some of the most important traits, one of them shared by the International Business Companies both in Belize and the British Virgin Islands. Incorporation An easy process that can be accomplished very fast; investors who cannot travel to Belize can request the help of a local representative. Opening a company is easy and the investor does not need to be present in the Islands during the entire duration of the incorporation. Tax exemption Companies are granted a tax-exempt status once they are incorporated; there is no corporate income tax and no other taxes on company gains. Companies benefit from a zero tax regime, meaning that the profits derived are not subject to a corporate income tax, no capital gains taxes, and others. Conditions for companies These apply to the chosen company name and some words cannot be used; a company name check can be performed. The company is required to have both a registered agent and a registered office. Companies are subject to observing a set of rules when selecting the business name and they must maintain a certain suffix according to business type. A local registered office is needed and a registered agent. New and shelf companies Investors have the option to both incorporate a new company or to buy a ready-made company for which they do not need to select a business name or prepare the Articles of Association. Although the company incorporation process is a fast one, investors can choose between a newly formed company and a ready-made company for which the ownership transfer will take place. Minimum number of shareholders and directors At least one shareholder and one director are needed to open a company. 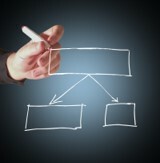 A company is incorporated with at least one shareholder and one director. Accounting and disclosure There is no need for companies to file and submit annual returns or follow any statutory account requirements. No requirements to submit annual company returns. The British Virgin Islands or BVI remains one of the most respected offshore destinations, particularly because it is one of the oldest. Since its development, other offshore financial centers or tax havens have adopted and improved the business model used for a BVI company. In most respects, the conditions for company formation are similar in Belize and BVI. A difference between Belize and the British Virgin Islands is that the latter does not allow for bearer shares. Both jurisdictions allow for a minimum number of shareholders and directors and do not impose taxes on company profits for offshore corporations. The conditions to open a company in BVI include a registration fee with the government which will vary according to the number of shares. The fact that that the law makes it possible for a company to be tax-free and also recognized as a domestic legal entity is important and the law also grants other beneficial features, especially for those investors who are interested in keeping their operational activities private. For this purpose, a BVI business company may in some cases become a restricted purpose company. However, investors who are looking towards exploring this possibility are advised to find out more details from a local agency or specialist in company incorporation. The BVI is preferred by investors who target specific types of business activities, such as opening an offshore hedge fund. Belize is a popular location to base an offshore company for those investors who wish to run an offshore banking business or an international trade company. Other popular uses include Forex trading and offshore e-businesses. The corporate laws in Belize are very beneficial for international investors, not only in terms of company formation and management but also in terms of confidentiality. This jurisdiction is known to be one of the offshore centers that focus on a high degree of investor/company director and shareholder confidentiality. Company owners do not need to disclose personal information when incorporating the IBC and, furthermore, convenient laws protect bank account disclosures (this is done only in special circumstances). The company formation process in Belize is so straightforward that it is often possible for investors to benefit from same-day incorporations – this can be an advantage for some business owners who are looking to start their trading or international activities as fast as possible. The fact that English is an official language is also an important advantage for all foreign investors not only U.S.A. ones who can also enjoy the proximity to the United States. What’s more, the U.S. dollar is used as a legal tender in Belize. Company formation in Belize and BVI is a simple and assisted process. Foreign investors have access to a selected range of services offered by our Belize company registration agents. Belize offers a competitive and efficient business regime and it is believed to be a tax haven. However, choosing the suitable offshore jurisdiction should always be made by taking into consideration both the business entity advantages, the tax advantages as well as the geographical location and, perhaps most importantly, the future use of the offshore company. For complete details about all of the features of Belize companies, and the exact advantages according to your particular business interests, please feel free to reach out to one of our agents. Contact us for more detailed information on how to open an offshore company in Belize.